It’s been said that without a reunion the Eagles are forever young like James Dean. 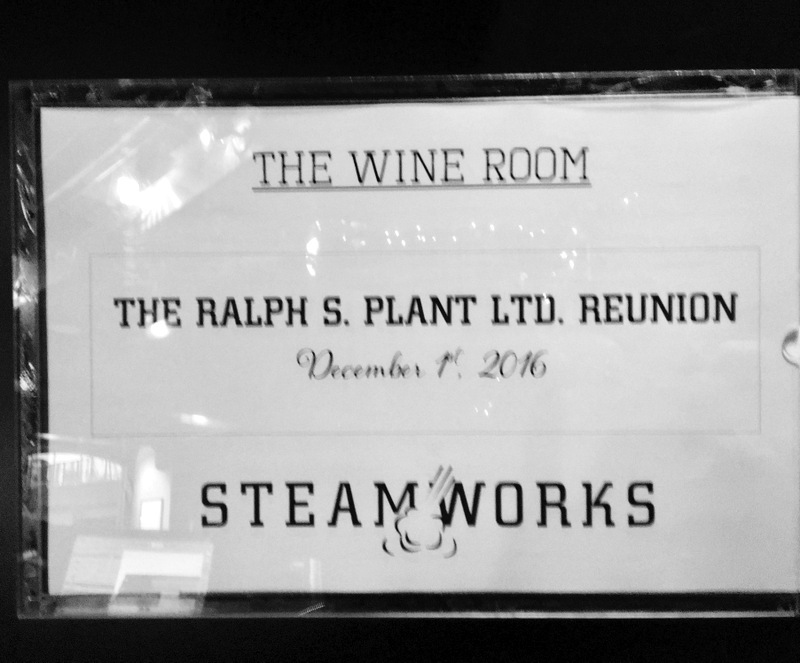 And so it will be when alumni of erstwhile wholesale lumber company Ralph S. Plant Limited gather for a reunion in downtown Vancouver this week. We’ll be trading stories instead of wood. Maybe musings about countervailing duties. Perhaps wholesale cost of refreshments will revert to former terms of Less 5 & 2. We wish. Perhaps it’ll dampen demurrage recollections of unsold transit rail cars at holding points named Capreol, Ontario for orders, or Marshalltown, Iowa for furtherance. Expect every memory will be precision trimmed of facts, yet sold, like most studs, on a full 8’ count. Nary a late shipment recounted. Every overdue receivable collected. Not a shortage or moisture claim in sight. Afterall, reunions should set the record straight. Right? At least that’s how Phil Tindle and I remembered things at Ralph S. Plant when we sat down for a visit with Phil and spouse of 67 years, Taddy, at their retirement community penthouse apartment today. 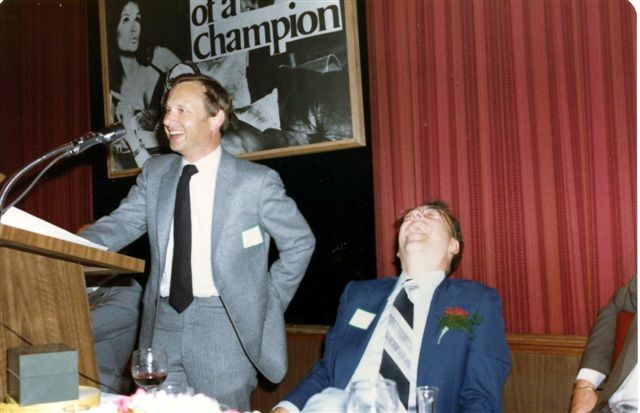 He became an early partner with Paul Plant and Jack Hetherington (this Jack Hetherington not to be confused with the Jack Hetherington of more recent fame in the annals of BCWLA) after Paul’s father died unexpectedly on the day of Paul’s graduation from university. At 90, heart bypass surgeries have tempered Phil’s physical mobility, but not so his detailed recollections of early cold calls to U.S. retail lumber yards in 1954. 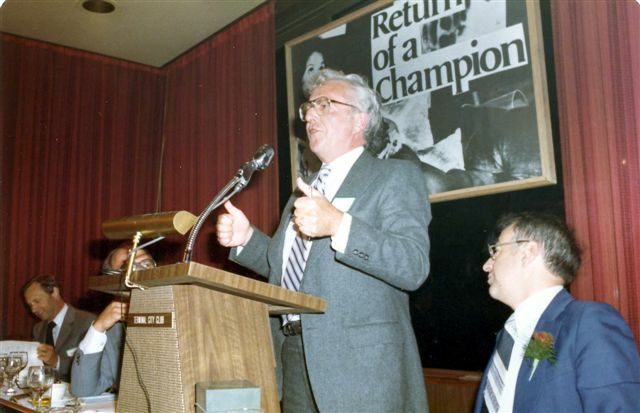 When the BC Wholesale Lumber Association (BCWLA) inaugurated annual selection of a “Lumberman of the Year” in 1980, Phil was a natural initial honoree. His exemplary integrity, reliability of expertise, was widely recognized by suppliers and a diverse, continent-wide customer base. His selection by BCWLA set in motion early aims of branding in which the Association sought to promote full-service wholesalers’ value-adding role in facilitating efficient marketing of forest products. From early days of lumber trading practices, wholesalers like Plants thrived among that unique industrial constituency in which contractual commitments measuring thousands of dollars per order are sealed by simple bonds of firm offer acceptance exchanged via telephone. In the years when sawmill beehive burners dotted the southern and north central interior landscape, office wholesalers like Plants played a pivotal role as premier channel of distribution for BC and Alberta’s mostly non-integrated, independent sawmills. The ‘60’s brought accelerating change to the forest industry. Pulp mill expansion into the Interior came along with intensified environmental sensitivities. Transportation deregulation, expanding export markets, unstable exchange rates and growing contentious softwood trade issues with the U.S. exacerbated volatility in lumber markets. In 1969 the Chicago Mercantile Exchange became the first exchange to offer the forest industry listing of lumber futures. It made available new hedging programs that served as instruments aimed at managing risk and moderating commodity price fluctuations. In this environment factors that defined the wholesale function were no less relevant. Along with conscientious move for enhancing quality of product in tune with advancing globalization came demands for a new professionalism and expertise in managing market variables. Trusted wholesale trading partners were uniquely stationed as marketing facilitators and interpreters of change. Advanced technologies paved the way for alternative, competitive building products such as steel and cement and redefinition of lumber grades. In our time the Information Age, shaped by the Internet, has changed communication and piloted ventures into electronic trading platforms, new trade exchanges. We experienced progression of weekly lumber offerings communicated by snail mail; then telex; then fax; and more recently, e-mail. Hacking used to be something we did to bring down trees. Concurrently, trends of consolidation and integration in the industry have intensified competition; shortened channels of distribution. While there is no doubt that technology has impacted communication efficiencies in lumber trading, nurture of personal relationships continues to be the keystone for maximizing sales and marketing effectiveness. It follows that creativity, an axiom of effective marketing, is finding new impact as wholesalers adapt to change in value-adding service to specialty, niche markets. Sawmills and retailers have advantageously partnered with knowledgeable, trusted wholesalers in market-based distribution programs. Lumber wholesalers have seized on opportunities in secondary manufacturing along with expanded distribution yard services and allied building products. It’s been suggested that successful lumber traders harbor an indwelling, nascent entrepreneurial spirit, sometimes seeking manifestation beyond employment in a privately held firm. The dynamic nature of the lumber business and rapid change itself discloses people as the most valuable asset in any organization. Rapid change realities confirm that a trader’s job security is not necessarily tied to tenure. So it’s perhaps not surprising that many lumber traders, including former Plant people, identified opportunities in subsequent career moves that by the early 70’s saw formation of firms with names like Taiga, Col-Pac, Probyn. (Full disclosure here – After 10 years with Plants, Ernie Harder left the Company with Ran Davidson and Boyd Kelly, to form a new wholesale partnership as Col-Pac Lumber). More recently former Plant people have re-emerged under new wholesale distribution entities like South Beach and Dakeryn, where even second generation lumbermen are said to thrive. By the early 1980’s, Ralph S. Plant Limited was restructured as Plant Forest Products. By then arch-rival Charlie Widman had resurfaced from Cooper-Widman in the form of Widman Industries. There was a brief merging of Widman and Plants, with Company restructure that ensued upon the death of Jack Hetherington, followed subsequently by Paul Plant’s retirement. It should be noted that both Charlie Widman and Paul Plant were earlier honored as BCWLA Lumbermen of the Year. Phil’s proclivity for activity in years following a time of retirement from Plants saw him re-engage for a five year stint in Marketing and Sales with Canfor. We look forward to learning more stories of the reported orderly dissolution of Plant Forest Products even as the spirit that was uniquely alive in its people lives on. Besides, it’s been said that lumber traders never die; they just trade away. This week we’ll mostly be trading memories. Kudos to Ray Pauwels, Cavin Bachert and Derek Belyea for organizing plans and details for getting people together. Not surprising. It’s what wholesalers do. This entry was posted in Industry and tagged lumber wholesale, marketing. Bookmark the permalink. VERY GOOD STORY. ;LI WORKED FOR CHARLIE WIDMAN SHORTLY AFTER THEY THEY STARTED UP . THAT WASN THE SPRING OF 1971. Excellent i always thought that you were smart. Great to hear from you Marcel! Well done Plant people. The fact that you have been able to keep in touch and can still assemble at the drop of log is impressive ! Now there is the Ernie that I know and love. Inter weaving words into wisdom and stories in the same sentence. Hats off to the trail blazer wholesalers that have taught me so much over the years. Thank- you for the sharing and I wish you all the very best for when and where ever the chips may fall. Nu-Forest Products ( Canada ) Inc.